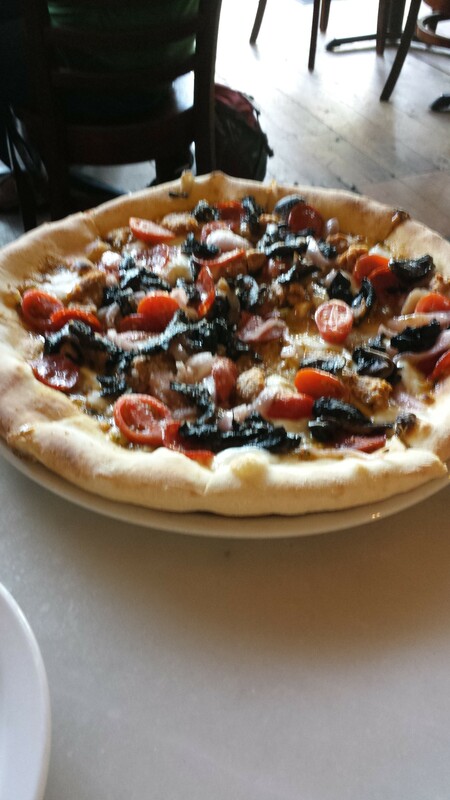 Pizzeria Pulcinella! We have found great pizza in Seattle. It only took 2 years. Larry found this pizzeria on his Delta points site. And after looking at Yelp reviews, which we do not put a lot of credibility in, we decided to give it a try. It is a small, cozy place and everything about it reminds me of Antico Forno in the North End. 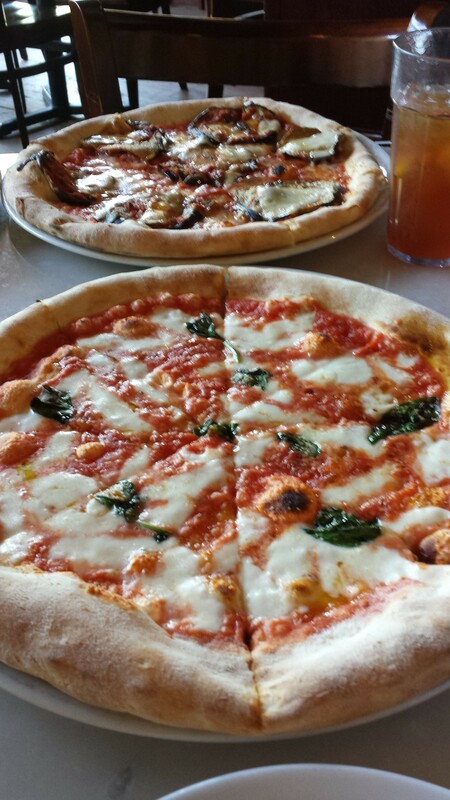 They have a large brick oven, which give the pizza that smoky flavor. We ordered 3 pizzas, Margherita, eggplant and Giovanni, which had peppers, onions, pepperoni and sausage. It was all great. They are about 12 inch pizzas. The sauce had just the right amount of herbs and garlic. The crust is flavorful and thin on the bottom and chewy on the edges. 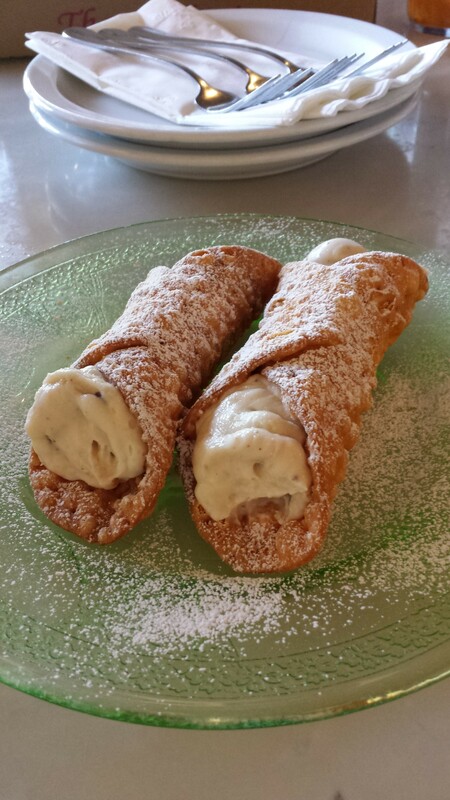 They also had cannolis! I was very leery about these, and they are no Mike’s but they were the best cannolis I have had in Seattle. They reminded me of the cannolis from Carlo’s Bakery. The shell was crunchy and full of vanilla flavor. The filling was ricotta, with a hint of orange flavor and chocolate chips. Much of this is a huge compromise on what I think is a great cannoli, but unless Mike’s opens a Seattle location, these are the best around. We will be back. I also ran Tacoma Narrows Half this weekend. Race report coming. This entry was posted in Uncategorized and tagged Antico Forno, cannolis, pizza, Pizzeria Pulcinella. Bookmark the permalink. 1 Response to The wait is over! That pizza looks delicious! I will have to give it a try.